There is simply no comparison between an old-fashioned fixed bridge or removable dentures and implants. There’s nothing wrong with a bridge or dentures, but our Upper Manhattan dental implants do more than fill in empty space and let you have more chewing surface. They look, feel, and function just like real teeth. 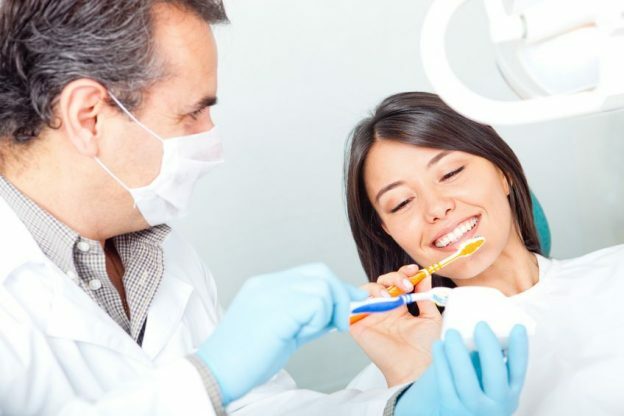 At the practice of Dr. Darryl Lieberman, you can depend on expert replacement of any of your missing teeth. There are two essential components of our Upper Manhattan dental implants. The tooth portion was easy to guess, but the part that really sets them apart is the root. Just as your natural teeth each have their own root to anchor them securely to your jaw, so does an implant. Our dentist surgically places a titanium post in your jaw bone, and the tissue then grows around the post, and ends up fusing with it. The result is a completely dependable and strong foundation for your new tooth. The next phase is that impressions are taken and sent off to the dental lab. A crown is made of tooth-colored material. This is not that much different than when you get a crown to restore a tooth that has been chipped or cracked, for example. The crown is then cemented to the top of the post, and that’s all there is to it. You can chew food with 100% confidence using your implant. This is even true with crunchy or tough options. Brush it with your other teeth, and floss between it and your other teeth. You may even forget which is the implant and which are the “real” teeth after a while. Our Upper Manhattan dental implants can be counted on to last for many years, and maybe even for life. That’s a lot of benefit. Reach out to us now and arrange an appointment for a consultation and examination to begin. This entry was posted in Uncategorized and tagged dental implants, dentures, missing teeth, Upper Manhattan on August 27, 2018 by admin.